They’re undoubtedly posing, so we can see all their best sides! 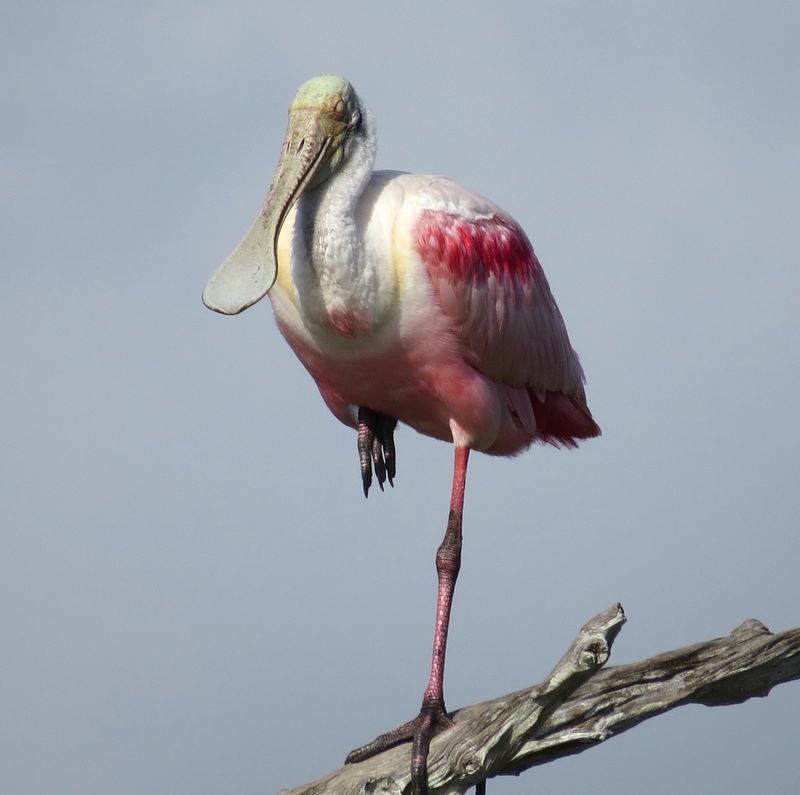 Occasionally, they find time to fit in a little Yoga practice 😉 And, of course, they want to be sure we also get a good look at the special design of their Spoonbill. If you time it just right, shortly before a glorious pink sunset, you can watch them fly in and hang out on the old snag for awhile before they fly off to roost. 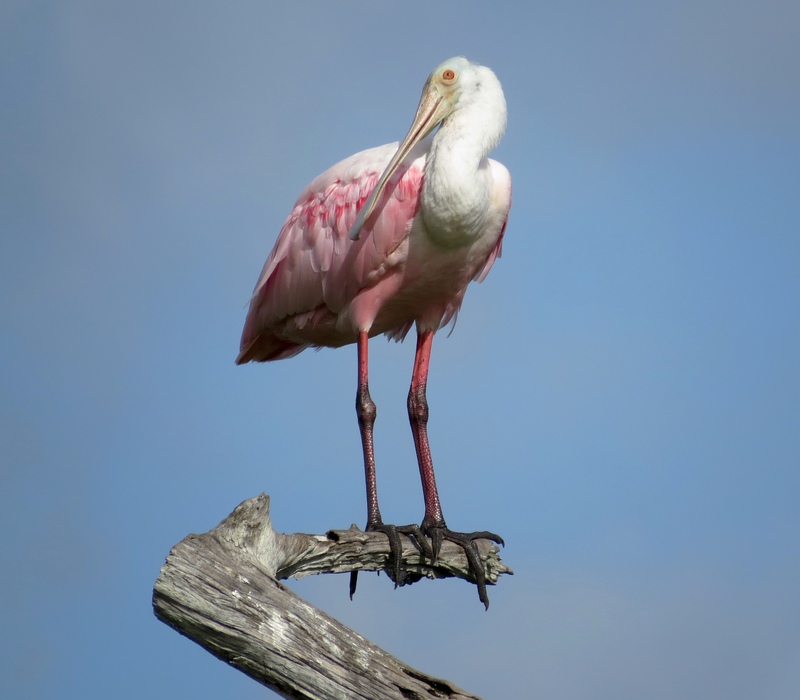 Curiously, no one seems to know where our Spoonbills actually roost at night, or where the closest nesting spot is. I wonder where under those beautiful Rosie skies they sleep . . . .?? I’m becoming addicted to your blog! Super!! Glad to hear it. They are amazing! Thanks, HJ. Thanks so much, AB! I actually included just one such photo back in this post: https://birdersjourney.com/2015/04/01/2560/ (Hope that link works). Pretty in Pink, I just could not resist. 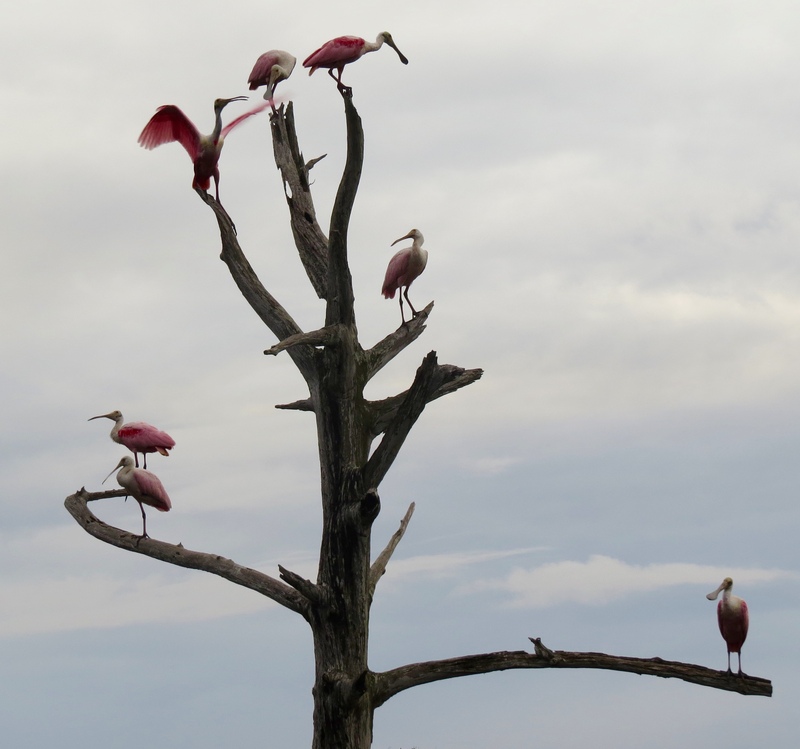 I do like them all in the tree since I never saw that before with Spoonbills. The sunset is gorgeous too. 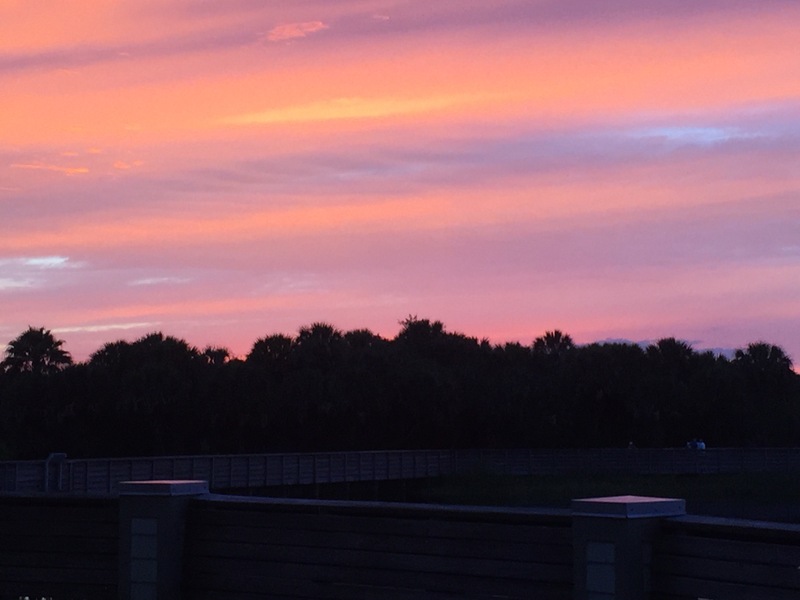 We do have exceptional sunsets here, Donna. 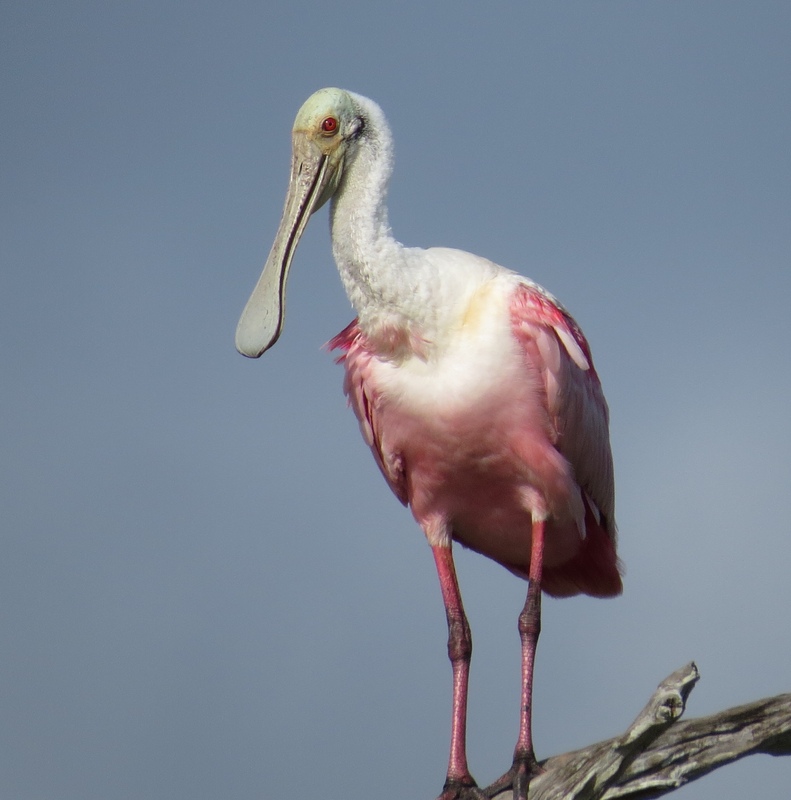 I’ve often seen one or 2-3 Spoonbills together in the tree, or several different species sharing the snag at once. But this was quite an exclusive Spoonie group! I knew it! 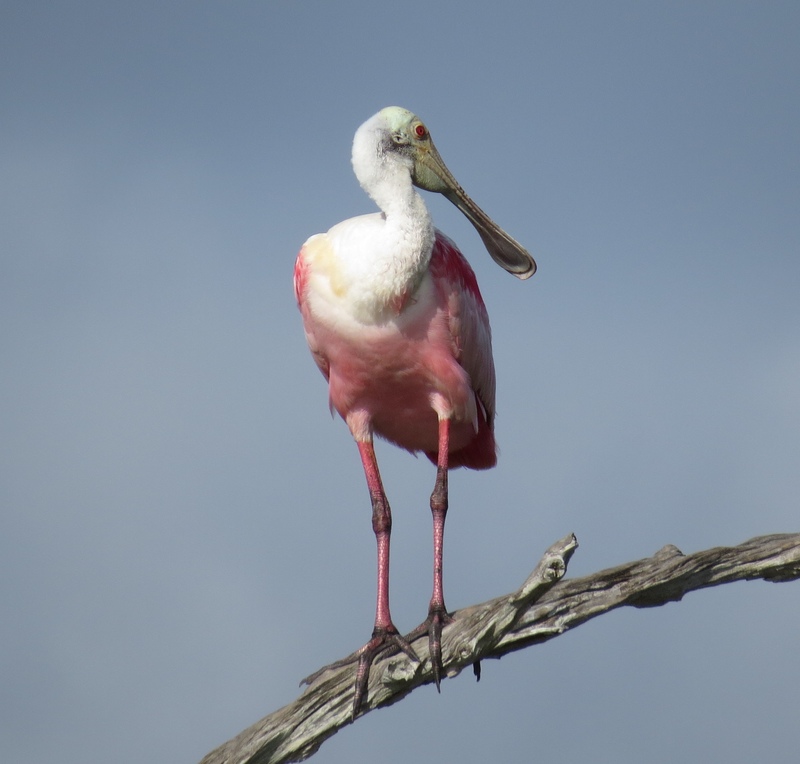 I just knew when I saw your post title you would have spoonbill photos! How excellent and lucky you! A tree full of Spoonies?! It doesn’t get any better. Lol! Thanks for your enthusiasm, Phil! Yes….it is a a great time for Spoonies! Stunning pictures! 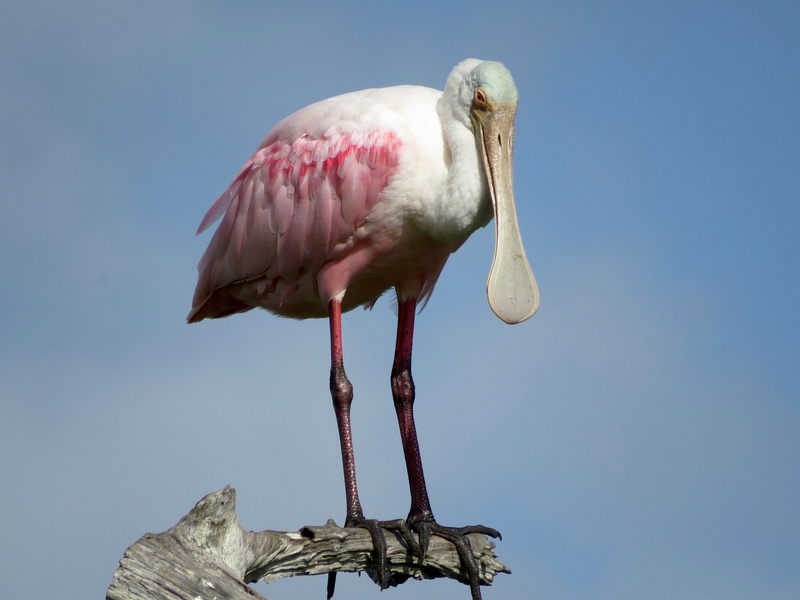 Would love to see a Spoonbill one day, they seem to be fascinating birds to watch. Also love the sky pictures.. such a brilliant hue of pink. So nice to hear from you Lavanya! 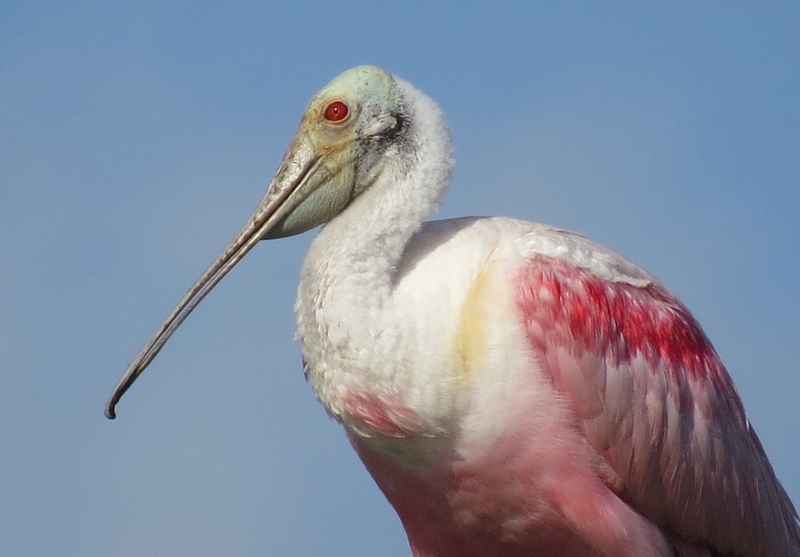 I hope you have a chance to see a Roseate Spoonbill in ‘person’ on your travels. That would be incredible! Another bird to add on my ‘must see’ list. Thank you for that link – I really enjoyed the adventures of your guest family! Glad you enjoyed them, Jet. Thanks! Yes they certainly are photogenic!! I feel the same way… So glad they like our preserves!